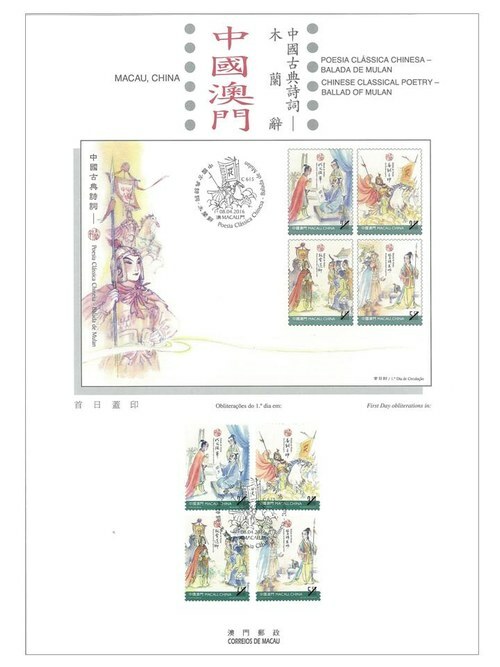 Stamp Issue "Chinese Classical Poetry – Ballad of Mulan"
Macao Post will issue the stamp theme “Chinese Classical Poetry – Ballad of Mulan” on 8th April, 2016. 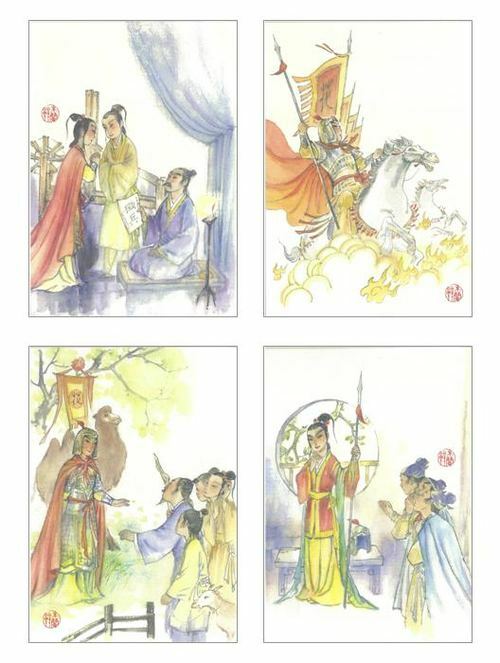 The Ballad of Mulan is also known as the Poem of Mulan, is a long narrative folk song, which spread across the north during the Southern and Northern Dynasties Period (420 - 589) in China; it is a representative work of “Yuefu Folksongs” in the Northern Dynasty. 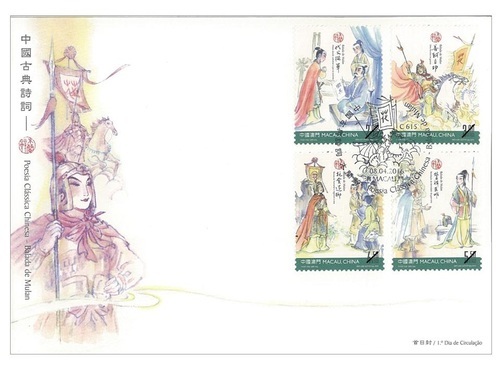 Together with “The Peacock Flies Southeast”, they are called “The Two Jades of Yuefu Folksongs” in the history of Chinese Literature. 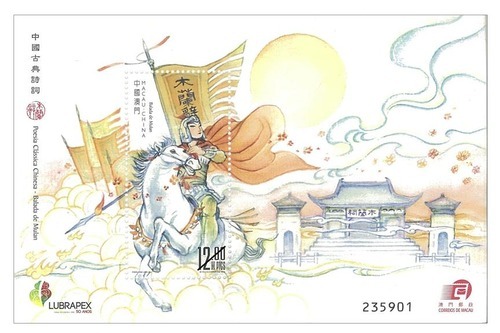 This issue includes a set of four stamps and one souvenir sheet, portrays the legendary story of the young Mulan who disguised as a warrior and took his father’s place in the army. 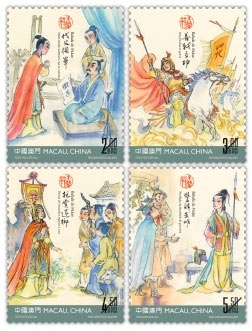 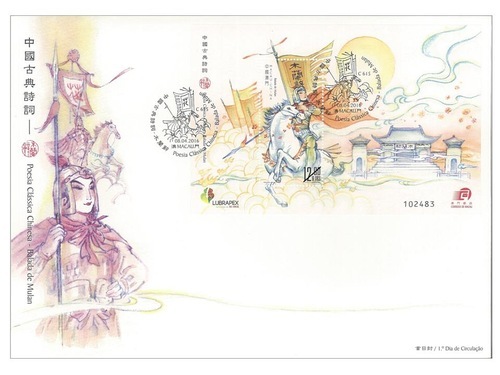 The themes of the stamps are: “Mulan decides to replace his father in the army”, “A heroine in the war”, “Refusing the honours and returning home” and “Revelation of the heroine identity”. 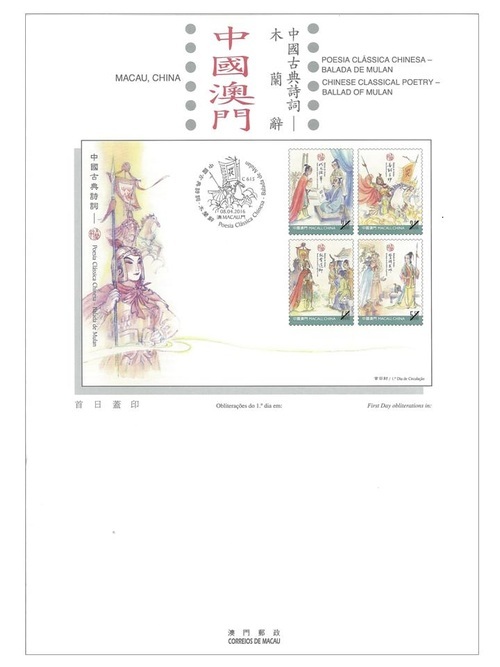 To highlight the stamp exhibition of Portuguese-Brazilian to be held in the city of Viana do Castelo, Portugal, between 26th April and 1st May, 2016, the souvenir sheet of this issue carries the logo of stamp exhibition “XXII LUBRAPEX”. 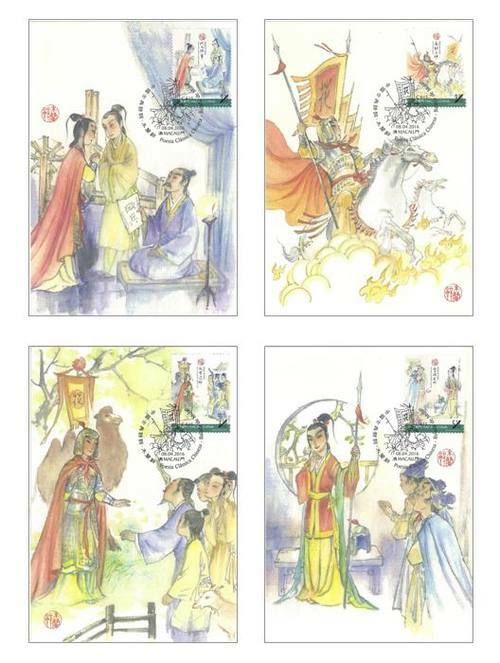 This is the fourth theme in 2016. 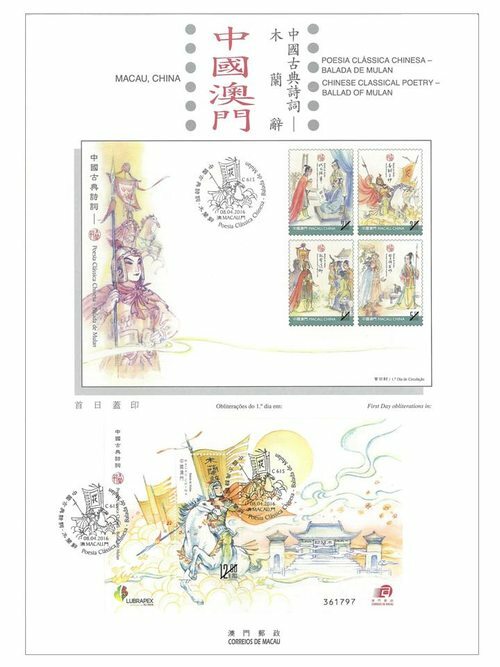 The previous issued stamps are “Lunar Year of the Monkey” on 22/01/2016, the label stamp “Lunar Year of the Monkey” on 22/02/2016, “Scenery of the Imperial Palace in Beijing” on 01/03/2016, and “325th Anniversary of the Establishment of the Public Security Police Force” on 14/03/2016.